Radar 10 brings you more wizards than ever. A good reason to offer a Wizards Finder, which is the central screen to the right, giving you easy access to the different wizards. To access the Wizard Finder, you use the menu ("View - Wizards Finder"). Symptoms taken with the help of the different wizards can be handled more easily. A check box allows easy selecting and deselecting. More information is available: (from left to right): origin of symptom, number of remedies and degree. 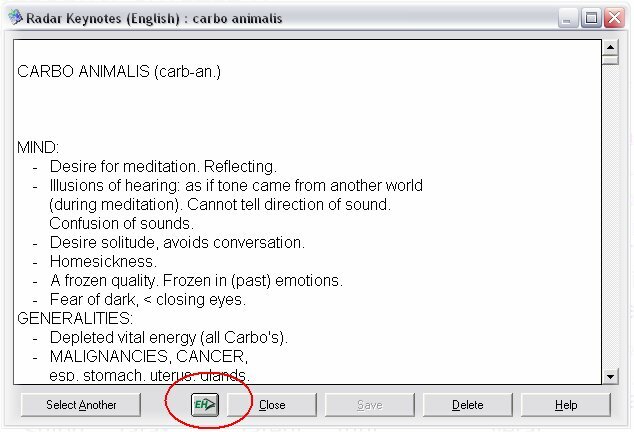 Right mouse click menu allows to change the properties of the selected rurbics. Installation is more automated: less interventions by the user mean less errors possible. If a new user installs the program, no questions are asked and the program installs itself completely on its own. The program will detect whether you have updated Synthesis with all available logfiles. If not, it will automatically suggest you to update Synthesis at the end of the installation. 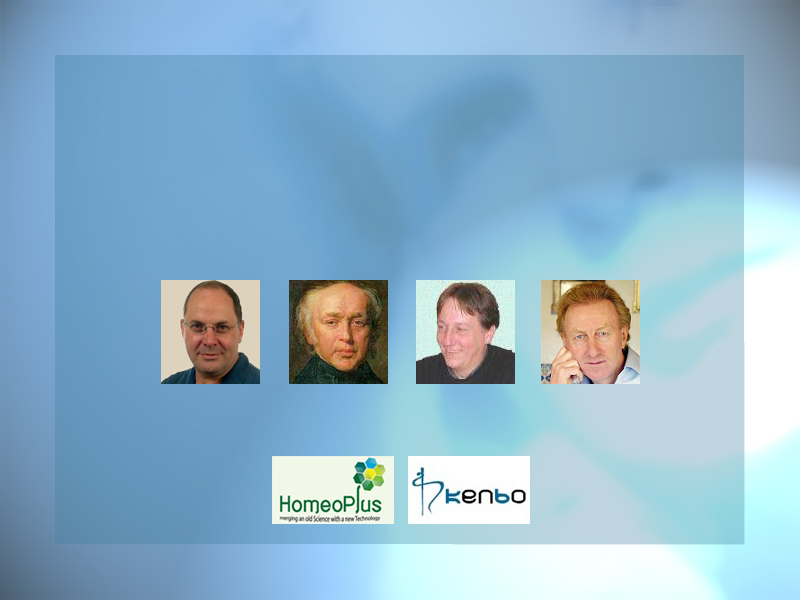 When you are reading a keynote of a remedy and you wish to obtain more information, you can read all information about that same remedy in Encyclopaedia Homeopathica. At the bottom of the keynote window, there is an EH icon (see red circle). 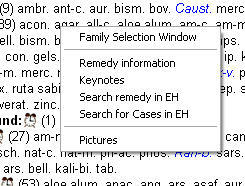 If you click on it, the program will switch to EH and search for the same remedy in EH. Our support team has reported that most problems users encounter had to do with the handling of cases and logfiles. In Radar 10 we have resolved the major causes of these problems.